A motion sensor can be useful in almost any scenario. There are many different manufacturers, so we thought it might be nice to have an overview of the different models and brands. We asked Niels, the guy behind domotica-blog.nl, to make this comparison for us. A motion sensor is often referred to as a PIR. 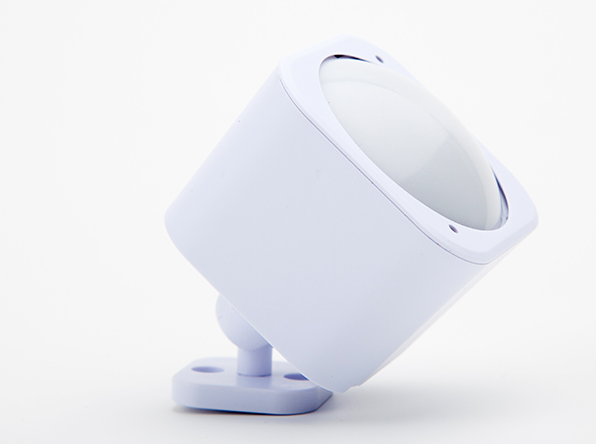 PIR stands for “Passive Infra Red”, which essentially is run of the mill infrared sensor. These sensors react to warmth (infrared). Just like any sensor, they don’t send out signals, but detect information. If somebody walks by, the difference in warmth is detected between the person and the surroundings. A motion sensor observes this, and can send a signal to Homey through your Z-Wave network. These sensors are often used in alarm systems. Within home automation people tend to use them to automatically trigger lights when they detect movement in a certain area. Of course, there are many more different sensors. Including cheaper 433Mhz devices. I won’t be using these in my ‘battle’. That would be much like comparing apples to oranges! Judging from the comparison table above, it’s not easy to find a clear winner. On paper, the sensors share a lot of similarities. The biggest difference is their retailprice. If you take a look at just the functionalities, the Aeon labs sensor would be the winner. Because of the extra sensors and option to add a wired power supply, it seems very versatile. Unfortunately, these added options have the hefty price tag of €20,-. If we take a look at the cheapest alternative (the Neo Coolcam), it’s important to notice it doesn’t have a tamper alarm. Meaning you can take this particular sensor off a wall, without it even sending out an alarm signal. This doesn’t make it particularly helpful in terms of home security. The Philio sensor does have a tamper alarm, and is relatively cheap. The downside being that it doesn’t look as good as its counterparts, and you can’t really easily stick them onto a wall. Lastly, the Fibaro sensor. No big complaints here. It’s easy to hang, and Fibaro integrated the most commonly used sensors. However, with a price tag of 59,95 it’s not necessarily cheap. Fortunately, I use all four sensors with Homey, so I can share some practical experiences with you. However, my user experience might not be the same as yours. When looking at battery usage the Philio sensor comes out strong. My own Philio sensor has been hanging around my home for the past year and a half, and I’ve never had to change the battery. Contrastingly, the batteries in my Aeon Labs have been changed on multiple occasions, and the sensor actually only works properly when it’s connected with a hard wire. Of course, battery usage depends very much on the settings of a device, and how often the sensor actually observes something. The time it takes for the different sensors to react almost exactly the same. Usually, the Fibaro sensor is a bit faster to react than the others. However, we’re talking fractions of seconds. Both Neo Coolcam and Fibaro sensors are easily mounted onto a wall. The manufacturers both developed some sort of hoop that you can simply place on your wall (or ceiling), enabling your sensor to be easily mounted and ready for action. Aeon Labs and Philio designed their wallmounts to be less flexible. Before hanging these, I recommend you think long and hard about how and where you want to use them. Saves the hassle of readjusting them and drilling more holes into your walls. It’s difficult for me to point out a winner, because much of the factors boil down to personal user experience. Still, I’ll have a go. Are you looking for a cheap motion sensor you want to use mainly for simple tasks such as turning on lights? Get a Neo Coolcam. Do you want the complete user experience, and a sensor you can use in terms of home security as well? Get a Fibaro motion sensor. Good luck with your decision! They all work perfectly fine with Homey, so that’s at least one thing you don’t have to worry about when choosing. Niels runs www.domotica-blog.nl. For five years, it’s been one of the best read domotics blogs in the Netherlands.